As both an art and science, architecture has been there probably for as long as man existed, continuously evolving to adapt to the human ever changing needs. In the present day, most of the world is increasingly realizing how crucial it is to find a common ground between eco-friendly practices and the construction and architecture industries. 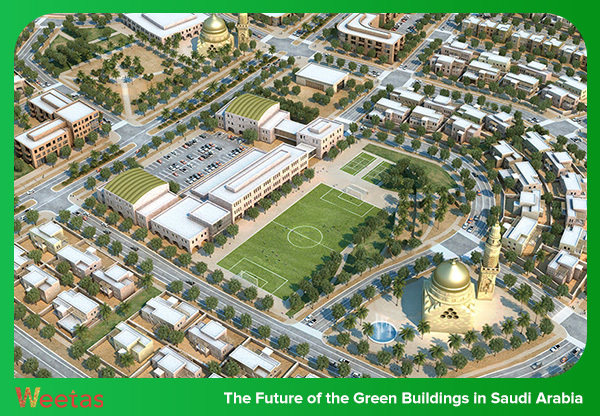 A notable example of that is the rapidly growing industries of clean energy and green buildings in Saudi Arabia. The concept of green buildings – also known as green architecture – is all about constructing modern buildings that are both environment friendly and self-sustaining through many practices. A lot of countries around the world have been adopting this concept as a part of the global movement towards a better environment. This came along with the downfall of the oil prices that occurred a few years ago, a downfall that took place because of the discovery of abundant oil reserves in other regions around the world on one hand and the accelerating evolution of the clean energy industries. In an attempt to adapt to the new situation, the GCC countries – which have been known for their abundant oil reserves – have been shifting their focus towards developing and growing non-petroleum economic sectors. In the particular case of Saudi Arabia, this comes as a part of the kingdom’s plan to shift its economic dependence to non-petroleum sectors and, eventually, as a step towards achieving the Saudi Arabian Vision 2030. As it is the Saudi Arabian second largest economic sector, the kingdom’s real estate sector – which has been negatively impacted by the oil crisis – has been on the receiving end of many of the Kingdom’s pivotal recent policy and program changes like White Land Taxes and imposing VAT. That caused an amplified focus on the green architecture in KSA, as it is the intersection between both real estate and clean energy industries. The investments in the green buildings in Saudi Arabia is currently the third biggest investment of its kind in the world, and the kingdom is set to become the industry’s world leader. As a matter of fact, right now, Saudi Arabia has multiple projects under construction across its current and future cities that are either LEED certified or LEED registered. As we mentioned earlier, sustainable buildings and green architecture constitute an integral part of the current socioeconomic major shifts that take place in Saudi Arabia. Recently, KSA has been adopting, joining and supporting both local and worldwide initiatives (e.g. Global Methane initiative, the Carbon Dioxide Initiative and the Innovation initiative) that aim at promoting and developing buildings’ sustainability. The Sustainable Houses Forum of Saudi Arabia was launched on May 14th 2018 by the kingdom’s ministry of housing. Along with the forum, the ministry has also launched Sustainability Quality and Evaluation System which aims at setting standards for the development and evaluation of the green buildings in the kingdom. In addition to that, the system is expected to have a significant positive impact on the Saudi Arabian real estate sector as it will boost the properties’ market and the quality standards of the industry and facilitate the communications between the individuals and the real estate development companies and realtors on one hand, and help in reducing the cost of the power and electricity bills on the Saudi Arabian civilians on the other hand. A major event that aims at highlighting and boosting the construction industry of Saudi Arabia, Big 5 Saudi 2018 took place over the course of 4 days from the fifth to the eighth of March of the current year. In its eighth annual edition, the fair managed to be a promising platform which attracted 280 international exhibitors from 20 countries around the world and 13,000 visitors, with the Green Buildings in Saudi Arabia being its main focus in this year. The boosted number of visitors of the event can be attributed to the recent news of launching numerous mega projects in KSA including the transnational Neom City and Qiddiya City, the world’s biggest entertainment city to-be, in addition to other under-construction major projects like the promising Prince Abduaziz Bin Mousaed Economic City in Hael region. It is also worth mentioning here that the next year’s edition will take place in the lively coastal city of Jeddah from the 10th to the 13th of March. According to Dr. Mohammed S. Al Surf, the Regional Manager of Market Development at Green Building Certification Institute of Saudi Arabia, the Houses’ Development Sector of Saudi Arabia will grow by 30 – 40% during 2018 as the total area occupied by the residential projects will exceed 250,000 square meters. Al Surf added that this space will increase over the next 5 years on an average annual range between 25% and 40%. 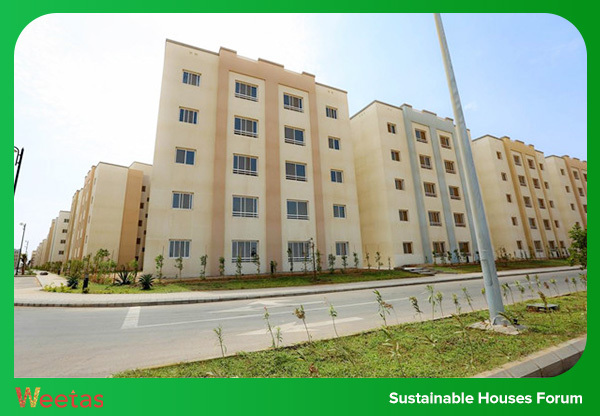 This expected growth in the Green Buildings in Saudi Arabia and the kingdom’s real estate sector overall is not only supported by the recent mega projects announcements and supporting events, but also by the numerous initiatives adopted by the Saudi Arabian Ministry of Housing to support the kingdom’s residential market (e.g. Sakani program).